The Town Council provides over 140 allotments at its Prospect Allotment site, off Prospect Crescent. The plots are a variety of sizes ranging from 3.25 rods (approximately 80 square metres) to 15.75 rods (approximately 400 square metres). When allocated an allotment the new tenant signs a tenancy agreement which contains a number of clauses to ensure that the allotment is well cultivated, and that no nuisance is caused to neighbouring plotholders. Allotment Bonfire Regulations are also in force. Allotment gardens are extremely popular and there is, at times, a waiting list. Nevertheless there is a fairly regular turnover of plots so please contact the Town Hall to enquire about vacant plots, or to be added to the waiting list if held. A copy of your current Council Tax bill will be required as proof of permanent residency, please visit the Town Hall with your document and we will take a photocopy for our records. This will enable us to prepare your tenancy agreement, or add your name to the waiting list. An Allotment Association operates independently from the Town Council to represent the views of allotment holders, and offer advice and guidance to its members. 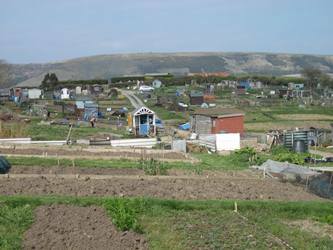 Please see the Prospect Allotment Association (Swanage) membership application form for further details. The Town Council is also a member of the National Society of Allotment and Leisure Gardeners, an organisation dedicated to providing advice on allotment matters to both individual allotment holders and allotment providers alike. Further information can be found on its website www.nsalg.org.uk. Allotment matters are discussed at meetings of the General Operations Committee. Please click on the following links for a copy of the relevant agenda papers and minutes.